The HSP INCOG is a minimum bulk, multi-positional, deep concealment holster. Its distinctive features enable the concealed carry of a handgun from a variety of carry positions while facilitating the acquisition of a full firing grip on the weapon prior to the draw. Inherent are adjustments in the depth of carry, angle of carry, the position of carry and security of carry. Adjustments are supported via the unique modular mounting points on the holster and the use of variable mounting components. Combined they maximize function respective to the users: body type, deployment tactics and personal preferences. The holster is adaptive to varying operational environments and mission requirements. 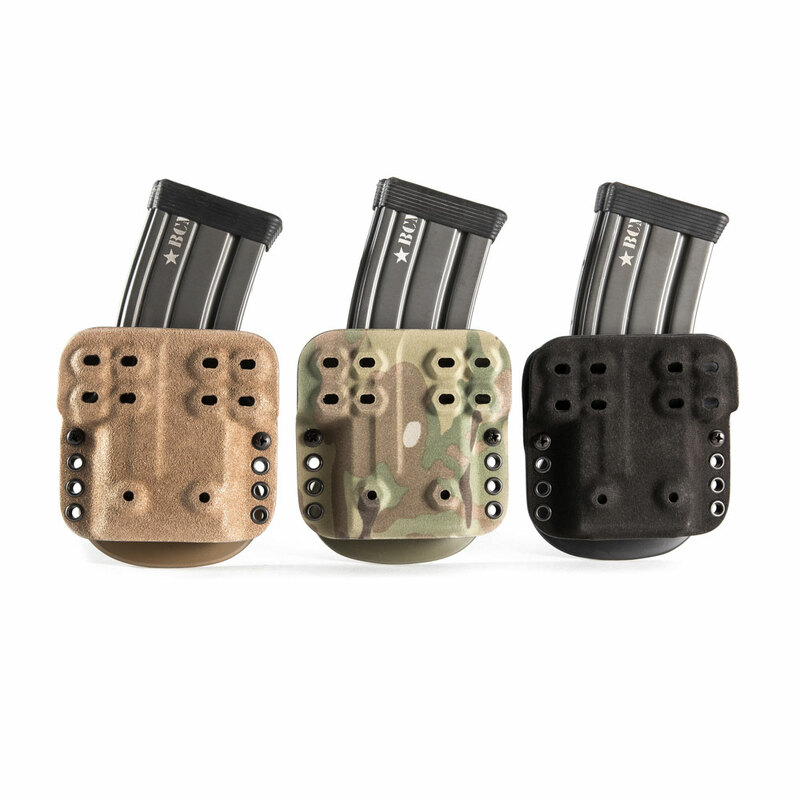 The HSP INCOG comes exclusively with grey Kydex and black outer fuzz.